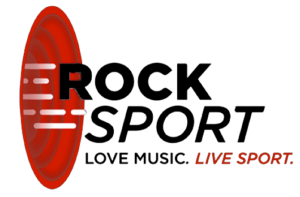 The league leaders welcome the defending champions to K Park this weekend in the RockSport Match of the Week. East Kilbride’s victory away to Gala Fairydean Rovers increased their gap to nine points over second placed, BSC Glasgow as they chase a second Lowland League title. Spartans have struggled in the defence of their title and currently sit fourth, sixteen points adrift of their hosts on Saturday. Their away form has been one of the reasons they have struggled and haven’t collected three points on the road since beating Gretna 2008 back in September. East Kilbride meanwhile have yet to drop a point at K Park this season and beat Gretna 2008 5-0 in their last home game. Their previous meeting earlier in the season saw the two sides play out a goalless draw at Ainslie Park. It’s the only time East Kilbride have failed to score this season but a goal this weekend would mean they hit 50 league goals this season after only twenty games. It was a narrow 1-0 win for the home side last season and another result like that would move them closer to the title. After losing seven consecutive matches, Edusport Academy have a tough task on Saturday as they aim to end that run against second placed BSC Glasgow. Edusport’s form has seen them slip into the bottom half and currently sit ninth in the table whereas BSC are a complete contrast to that. Despite not playing last weekend, BSC remain second after their 1-0 victory away to Spartans three weeks ago. Since their last fixture BSC have signed Ben Quigley on loan from St Johnstone and Cammy Ballantyne has extended his deal from the Perth club until the end of the season. Heading in the other direction is Joe Irvine and John Mitchell, leaving temporarily to junior clubs Benburb and Greenock whilst midfielder Spencer Brown has decided to take a break from football. It’s another crucial home game for relegation fighters Whitehill Welfare who are proving they’re up for the battle under new manager Ian Little. In the past month, the Rosewell side have held top table sides Spartans and Colts to draws proving they are not to be taken lightly on home soil. In the majority of their 2019 fixtures, they have scored first and held out stronger teams until the last ten minutes. However, East Stirlingshire will prove to be formidable opponents after they have secured a duo of 2-1 away victories in their last two games over Edinburgh University and Gretna 2008. Currently sitting in 7th position, three points could help them secure a stay in the top half of the table. Edinburgh Uni will look to try and pick up their first win in seven games when they take on Gretna 2008 on Saturday. The home side have seriously struggled to pick up three points recently, however they will take consolation in the fact that Saturday’s visitors Gretna have also struggled. The visitors have had a very stop start season and it seems like a case of one step forward, two steps back at times. A strong 5-1 hammering of Edusport was followed by two defeats and then a good victory over Dalbeattie Star at the beginning of January was followed by two more defeats. They have shown that they have the capability to score goals and they will look towards players such as Daniel Smales to chip in with some goals. Meanwhile, the hosts will hope that striker Abdul Yusuf can add a few more goals as he pushes to break into double figures for the current season. Strollers host mid-table Gala Fairydean Rovers at Christie Gillies Park and a three pointer could be crucial for either side to ascend up the table. It’s Civil’s first game in three weeks following a postponed fixture last weekend at Vale of Leithen. Their last league outing was an away 3-1 victory over bottom side Whitehill Welfare. A victory over Gala could help the Edinburgh side climb back into the top four. Eighth place Fairydean will hope to bounce back from a 2-0 loss to East Kilbride last weekend. 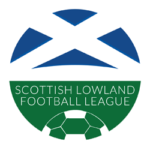 Even a point could be crucial to maintaining a stay in the top half of the Lowland League, although the side who were fighting to get out of the bottom four at the start of the season have proven they are more than capable of challenging anyone in the division. Kelty Hearts will be looking to build on their 5-0 victory over Edusport last weekend when they travel to face a Dalbeattie Star side who have had a poor season so far. The hosts have lost seven of their last ten games and find themselves in 14th. It has been a tough season and it will be a challenge to overcome Kelty. The visitors have drawn three of their last five and they will have been disappointed not to have won those games. However, they will be motivated by the fact that a win in this one could potentially lift them above BSC Glasgow and leave them in second. Kelty also boast one of the most prolific goalscorers in the league. Stuart Cargill is now the clubs record all time goalscorer with 165 goals and he and Kelty will be hoping he can add to that tally at the weekend. Sixth place Cumbernauld Colts welcome a Vale of Leithen side that haven’t had a fixture for four weeks. Vale’s last result was a thrilling 5-4 triumph over Edusport Academy. Manager Chris Anderson has been busy in the transfer market signing Jack Smith and Matt Underhill. Also joining Victoria Park is Spartans Under 20’s defender Calum O’Neill. Colts drew 2-2 with Whitehill Welfare last time out after goals from Scott Davidson and Craig Holmes but no matter what the outcome is, the hosts will remain in sixth place on Saturday evening.